Apple and Spotify have an unusual relationship. On the one hand, they are direct competitors in the streaming market. Then, on the other hand, they both rely on each other in one way or another. More specifically, Spotify needs the iPhone to reach more listeners and Apple — well, it just doesn’t want to tick off its customers by disallowing its competitor’s app. This symbiotic relationship is taking it to the next level as Spotify prepares to release an app for watchOS. According to the r/Apple subreddit, the app is going out to beta testers starting Friday. For now, the app is said to be “bare-bones.” It is only very basic in that it just controls playback from the user’s phone. It will not be able to stream music straight from LTE-enabled watches — at least not for now. Engadget points out that the Spotify App for Apple Watch has only been in development since early 2017, so the limited functionality is not that surprising. Andrew Chang, the developer of the Snowy app, was recruited by Spotify last year to quit working on Snowy and develop an official Spotify app instead. 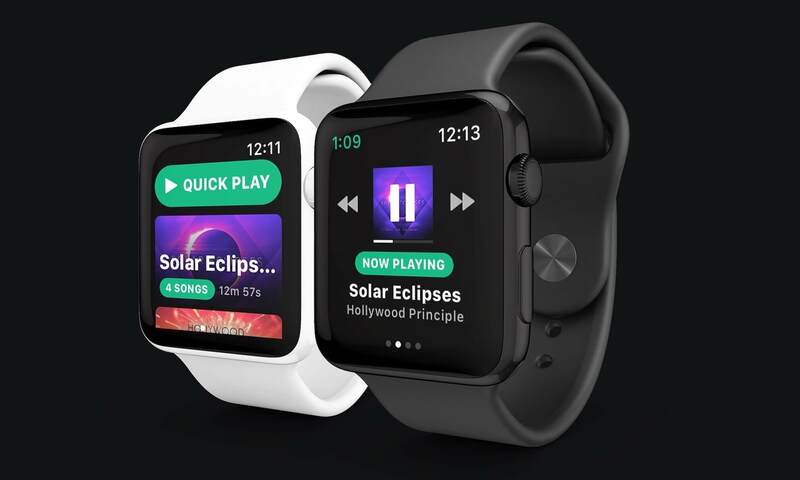 Before transitioning to Spotify, Chang’s vision was to create an app that could stream music from the watch without the need for it to be tethered to an iPhone. He wanted to have robust features like offline syncing, Siri control, and custom watch face complications. Presumably, he has not lost this vision, and at least some of his ideas will surface down the road. Until then a bare-bones Spotify app for watchOS is better than nothing.